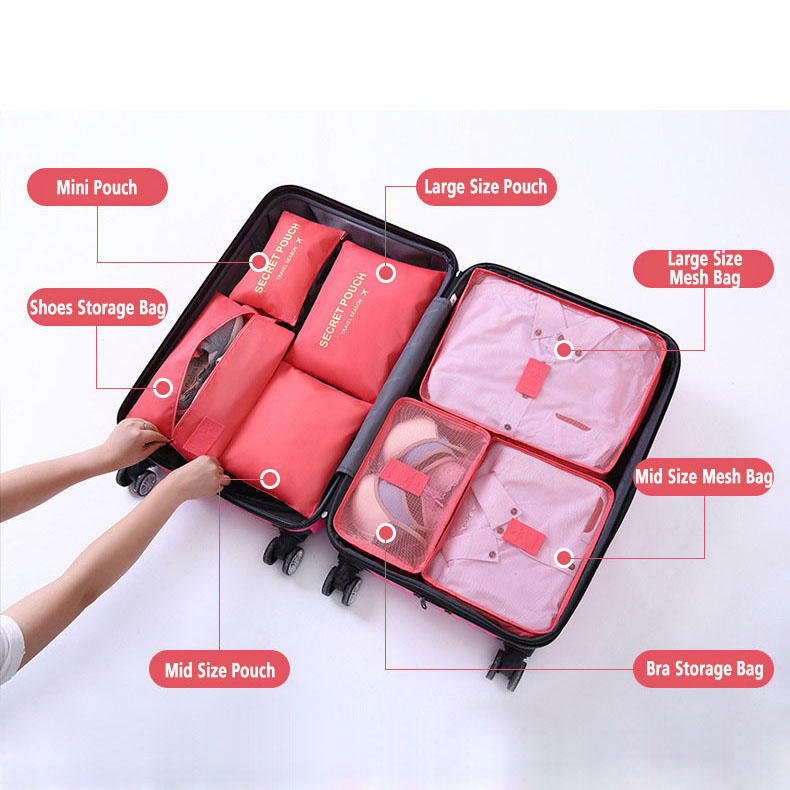 A set of 7 pieces bag, can meet the requirements of 7-10 days travel goods, can be used with the usual 20-28 inch Luggages.And premium quality thicker polyester, easy two-way zippers and stitching, definitely most well-made and durable travel bag you ever owned. Travel Storage Bags let everything in good order, make your trip more enjoyable.Goods can be classified into different packages,such as:Large bag for shirt coat,Mini for Bra ect,Mid for Toiletries and cosmetics,or you also can put them as your like.Practical and beautiful breathable mesh cloth can keep clothes clean at all times. Lightweight,water-resistant, portable, foldable, easy to storage. Suitable for family/couple or long-term travel. Waterproof polyester, you need to pay attention to the zipper and mesh, they not waterproof, please be careful to protect the zipper and mesh.